You might have watched an episode of a TV series, where a guy has travelled through the US and sold vacuum cleaners to housewives. He rang the doorbell and offered to clean one of the rooms in the house just to demonstrate his product – early fifties. Can you imagine how many salesmen work in the ‘Texas Vacuum Cleaners’ company and how this company pays them for their business trips and expenses? Even if there are 30 salesmen constantly travelling throughout the US – they are producing so much paper – receipts for hotels, restaurants, gasoline, auto repairs, etc. And that’s even without actual sales reports. How can a company deal with this paper flow? Today is the 21st century and I can hardly imagine how they could have made it in the fifties. Yet we can tell you how to deal with travel expenses processing in the modern world. First of all – you try to minimize paper flow when you’re sending someone to a business trip or accepting an expense report from this person. Papers are tending to get lost, get ripped or simply get spoiled by the sauce from a hamburger (shame on you, Josh, stop eating them near my table, again!). Of course, you must get expense confirmations from your employees, but try to convert these to electronic format as far as possible. 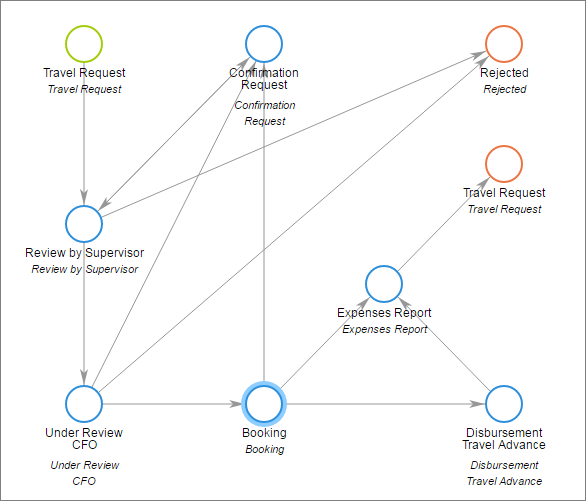 Second, use specialized software for tracking travel requests and expense reports. Do not try to use your email clients or Microsoft Excel for storing data and managing information. Someone can just lose an email or it can be marked as spam. And spreadsheet software does not allow you to collaborate and track all changes to the report. Who has changed this row and why? You will never get this information from a shared spreadsheet – it simply doesn’t offer you this functionality. And finally… – use workflow management system like Comindware Tracker for tracking your travel requests and expense reports. 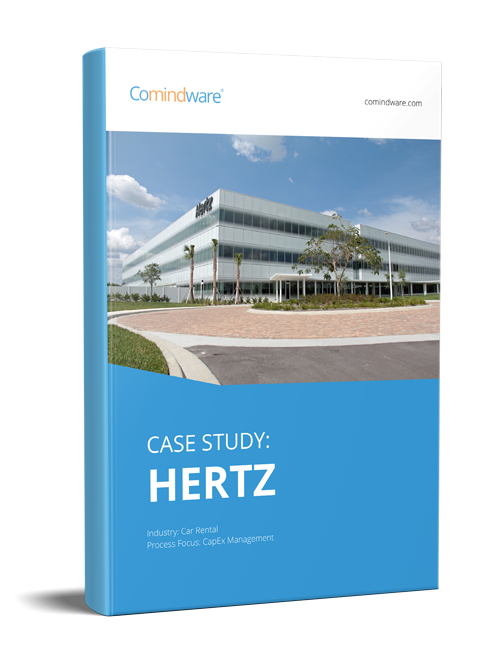 With Comindware Tracker, you can start tracking your travel requests and expense reports within several minutes after installation. Create the Finance Management Solution by clicking the “Menu” tab and deploying the solution using the “One-click Solution Setup” button. You will see “Expense Reports” and “Travel requests” applications in the main UI. A small example – salesman Bill Jordan is going on a business trip through Austin, Round Rock and Georgetown. Bill opens Comindware Tracker and using the “New Travel Request” button creates an object called “Texas business trip”. He needs to rent a car and book rooms in 3 hotels, so he fills in those fields and describes what exactly he needs in the “Purpose” tab. After that, using “Next Step – Submit Request for Approval”, he transfers his request to his manager, Amy Lee. Amy receives notification to her email client and approves the request by simply clicking the “Next Step – Approve” button in the object form (which is instantly accessible from the link in the email). Of course, Amy can start a conversation with Bill, using the “Discussion” tab or she can ask for more info about his travel request. Another possible option is to reject the request. But let’s think positively – Amy has approved the request and it is auto delegated to her secretary, Gwenn Littlebrow. Gwenn calls the hotels and books the rooms. Also she rents a car for Bill. Some advance money is issued to Bill and this fact is also tracked in the Comindware Tracker’ object by filling in special fields. The main benefit of using Comindware Tracker for tracking your travel requests and expense reports is that at each moment in time, everyone knows – what they are responsible for. Bill knows that he has to fill in the expense reports – he has received a notification about it in his email client. Amy monitors her inbox in the Comindware Tracker interface and she knows that she has to approve or reject these reports. Post-approval, these requests are delegated to Gwenn so Amy can forget about them – they will just disappear of her inbox. Gwenn is notified about the required actions via email or simply sees that new tasks have appeared in her inbox. At every moment in time, only the people responsible for their part of the task are involved in the process – the others continue working! This is great! Standard applications, deployed with the Finance Management solution are specially designed with a condition: if an expense amount is more than $1000, then it must be approved by the CFO of the company. This is just an example of how it works in real life. You can delete this condition or redesign the process to fit your company needs with little time and effort, or we can help you with it. It is so simple with our convenient Comindware Workflow Designer!